The new era of global digitization has spawned unprecedented possibilities for employing banking video platforms in the financial services sector. Digital banking today not only encompasses customer targeting and user experience but also pervades the restructuring of the banking enterprise into a financial services digital workplace. As banks shift their operating philosophy from product orientation to a people-driven approach, there is a greater initiative to embrace new technologies in the workplace such as enterprise video to instil a digitally driven workplace collaboration culture. 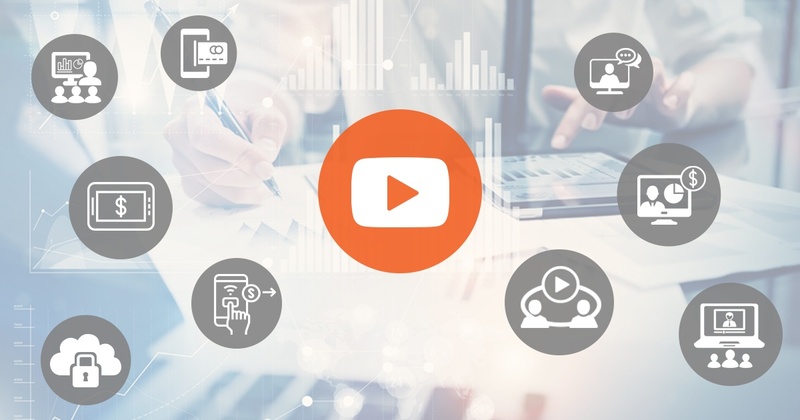 Additionally, enterprise video now serves as a critical tool for a diverse set of banking use cases, ranging from workplace training to data visualization, product marketing, and sales enablement. With a banking video platform, there is an immense opportunity for financial institutions to re-imagine and revitalize the financial services digital workplace by leading a digital transformation strategy through video-based communication and collaboration. Consider the following scenario, for instance. A heavily regulated industry such as banking experiences a continuous influx of regulatory changes required for implementation in banking institutions across the board. The frequency of such regulations combined with the need to convey, communicate, and implement them throughout entire organizations in a timely fashion represents a fundamental challenge for communication departments or those responsible for successful execution of such mandates. Since most banks are fairly large institutions with a workforce situated across several regions, such a scenario is significantly cumbersome for relevant departments to execute promptly and cost-effectively. However, a banking video platform changes that. Using video communication, regulatory mandates can be live-streamed or presented in an on-demand video for organization-wide viewing and timely implementation. Individual users can access the live stream or on-demand video in a consolidated video portal, with user-access granted to all employees (or even external stakeholders) through single sign-on integration. Members of management or those authorized with the mandate’s enforcement can also use detailed video analytics to track user-level engagement with the content to ensure every employee views the required videos to completion within a required time frame. In terms of cost-savings, one can simply crunch the numbers to quantify how much time and resources are optimized and processes streamlined as a banking video platform eliminates the costs burden of constant on-ground communication and even travel expenses, not to mention, the penalties incurred in case of a failure of timely compliance. A contemporary banking video platform addresses a range of banking use cases for video, including internal corporate communication (such as one outlined earlier), live executive broadcasts, employee training and learning, inter-team collaboration, and knowledge sharing -- all of which also suits geographically dispersed teams that often span across diverse locations around the globe. Other than this, banks can utilize video for customer service training, product/ service marketing, product knowledge tutorials, sales training, sales enablement, and much more. Video can also be used to bring highly structured or numerical data to life across devices with compelling visualizations of insights, trends, best practices, and other industry related information necessary for staff learning and knowledge sharing. Video-based training sessions or product knowledge tutorials, for instance, can be disseminated to employees across all bank branches through a single banking video platform. Within the platform, videos can be combined with other digital media assets such as images, graphs, text documents, or infographics for an enriching audio-visual learning experience. Moreover, to increase video training interactivity, quizzes or polls can be embedded within the videos, and platform analytics can be used to track viewing completion data, which can also generate completion credits or certificates that can be awarded to trainees -- all within the video platform. All this while, the video platform can also be integrated with the corporate LMS to launch video capabilities and insights there as well. Such diverse use cases for a banking video platform are especially apt amidst mass digitization of the financial sector as well as evolving modern employees and clients who are self-directed and highly adapted to the online world. Moreover, the transformative digitization of banking institutions is likely to accelerate further in the current socio-political environment that will presumably comprise of tax cuts, rising interest rates, reduced regulations, and an overall optimism among business owners, which provides a much-needed profit boost for banks. As mobile and other forms of digital banking continue to make inroads across the world, it is only a matter of time the future of banking gets fully aligned with persisting digital work styles that – in the current digital landscape – largely entail enterprise video. VIDIZMO is a Gartner-recognized enterprise video content management system that offers a comprehensive banking video platform to address all needs for live and on-demand video streaming and digital media asset management. In a fully branded and white-labeled banking portal, VIDIZMO provides a highly customizable and configurable application that can be deployed in the cloud, on-premises, and hybrid model. With a complete range of products uniquely designed to serve industry needs, VIDIZMO provides a scalable and innovative platform that delivers a high-definition video playback experience across all devices, browsers, and bandwidth conditions. Additionally, VIDIZMO's robust security controls enable all video communication in a highly secure and reliable platform designed to vigorously combat and protect the systems against any cyber attacks or security breaches. VIDIZMO’s high integration with a bank’s enterprise IT also promotes the operational efficiency of a rich and unified collaborative communication platform for use by their financial services digital workforce. Such an integration also opens the doors for consolidated and efficient video collaboration and communication for a widely distributed digital workforce in a highly regulated financial sector with stringent regulatory compliance requirements – fostering innovation and agility in the highly structured banking industry. A banking video platform such as VIDIZMO builds a true digital workplace that optimizes productivity, cross-team sharing, collaboration, unified communication, workplace training and learning, and creative product marketing and sales. Broad accessibility of video on all devices and bandwidth conditions also boosts the mobile productivity of an increasingly agile and connected workforce, which in turn drives employee engagement and eventually customer retention by enhancing the value clients get from the bank’s staff. Due to the remoteness of some bank branch locations, banking staff face network challenges while delivering video to employees in such locations. For instance, during a live CEO broadcast, employees in a branch with network or bandwidth bottlenecks may experience extreme buffering while attending the live webcast or may not be able to watch the live session at all. Similarly, a live or on-demand video training is way less productive if trainees experience constant disruptions or instances of frozen or buffering video. To resolve all such challenges, VIDIZMO employs a range of technologies that help counter video delivery issues. Firstly, VIDIZMO utilizes WAN acceleration technologies from Riverbed or Bluecoat using enterprise content delivery networks (eCDN) content caching to deliver a smooth video experience in bandwidth congested enterprise networks. Moreover, VIDIZMO employs adaptive bitrate streaming to optimize video quality or resolution, depending on the bandwidth availability in a particular branch or location. During a live broadcast, VIDIZMO utilizes multicast or P2P streaming technology to optimize video distribution within a branch while also minimizing the bandwidth consumption during the webcast. This way, VIDIZMO ensure that all live webcasts or on-demand video are delivered at optimal quality, on any device, location, at any time – minimizing or even eliminating any latency or buffering issues by resolving all bandwidth challenges. VIDIZMO offers some of the industry’s best cloud security, transparency, privacy & control, as well as compliance standards through native integration with Microsoft Azure and Azure Government Cloud. Azure security provides high standards for data integrity, availability, and confidentiality while Azure compliance portfolio offers a wide range of global and regional compliance offerings such as FISC, PC DSS, SOC 1/2/3, among others integral to the financial services sector for regulatory oversight and risk management. VIDIZMO also provides out-of-the-box integration with Microsoft products and services such as SharePoint, Dynamics 365, or Skype for Business (formerly Lync), Yammer, Azure Active Directory, Microsoft Azure Content Delivery Network, and media export from Microsoft Office 365, allowing banking institutions to leverage their Microsoft applications while integrating VIDIZMO’s video and digital media capabilities. Additionally, launching VIDIZMO on Azure or Azure Government delivers customers access to all breakthroughs and service innovations in Azure Media & Cognitive Services. For instance, Microsoft’s automated transcription and closed-captioning services, which recently achieved human parity in conversational speech recognition, delivers complete video transcriptions with superior indexing and search capabilities within VIDIZMO’s online banking video platform. Similarly, Microsoft has several other advanced video and media features on the roadmap that VIDIZMO will utilize as part of its system. For more on VIDIZMO’s enterprise video solution, visit our website or contact us for more information.